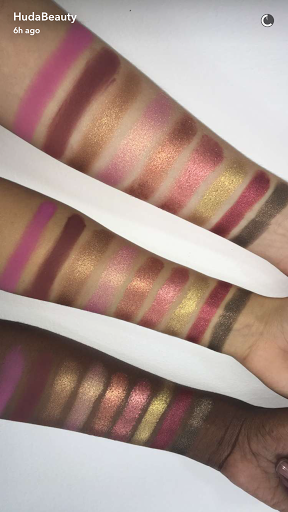 Its been less than a month since Huda Kattan launched 16 shades of liquid matte lipsticks called Huda Beauty Liquid Mattes and she’s back again with a new product from her own makeup line. 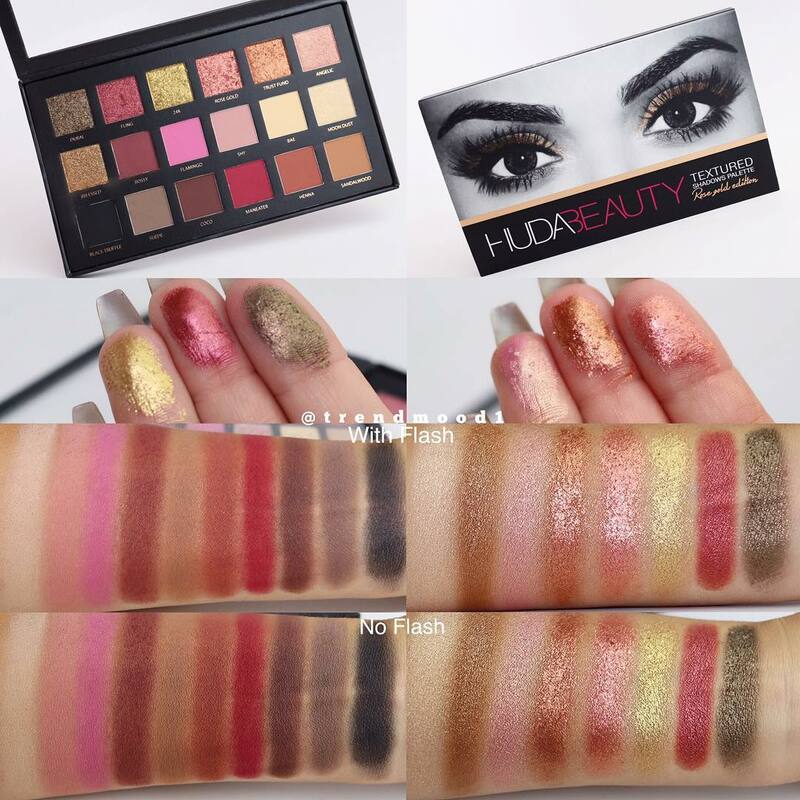 After posting a lot of teasers to her fans on Instagram, she finally revealed her first eyeshadow palette – and that’s Huda Beauty Rose Gold Eyeshadow Palette ! It’s not available anywhere, online or offline as of yet, but I’m already 100% sure that it is going to be a SUPERHIT! Scroll down below to see its pretty pictures! I loved trust fund shade the most. I will update the post if I get more pictures of this beauty! Watch FarahDukai use this palette for a soft Smokey eye makeup look! Have a look at this picture of the queen, Huda Kattan in which she has created a Makeup look with her own brand’s eyeshadows, eyelashes, lip contour and liquid matte lipstick in Trendsetter. There is no news about the price and availability of this palette. 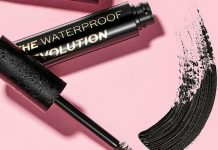 People are hoping that it will be available by mid-september in Sephora. Since the day I’ve seen this palette, I’m in “shut up and take my money” mode. I just wish that she’ll keep the price of this palette down because it is so pretty! Each and every girl in this world who will see it would want to get her hands on it. If the shades are made available in individual pans or refill pans then that would be great too! What do you think about it girls?! Let me know about it in the comments below! Also, subscribe to my blog for more such updates from the beauty and makeup world. 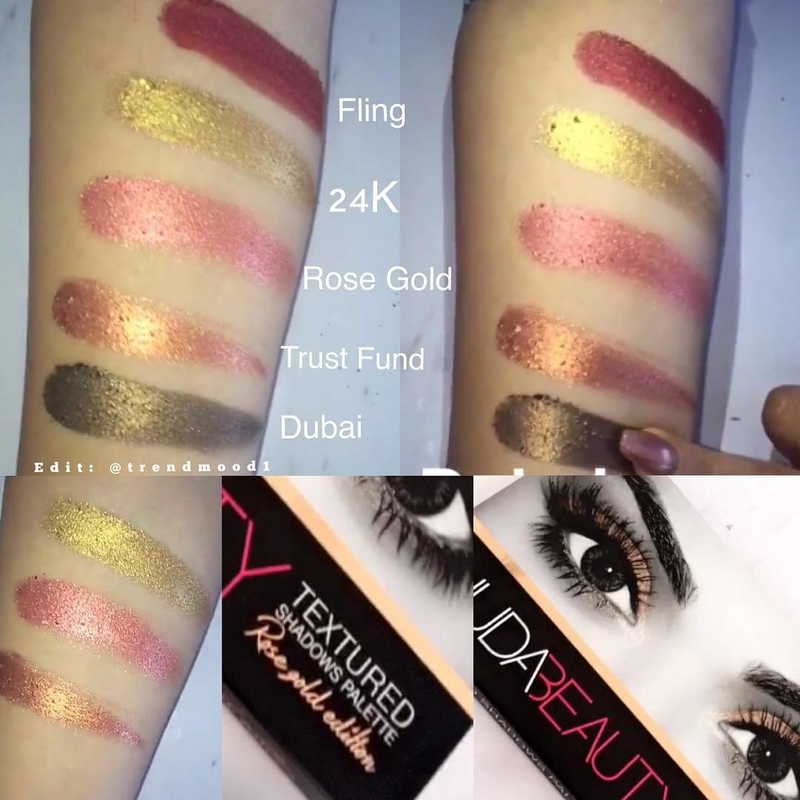 *All the pictures used in this post belong to HudaBeauty‘s Instagram/Snapchat page unless otherwise stated. 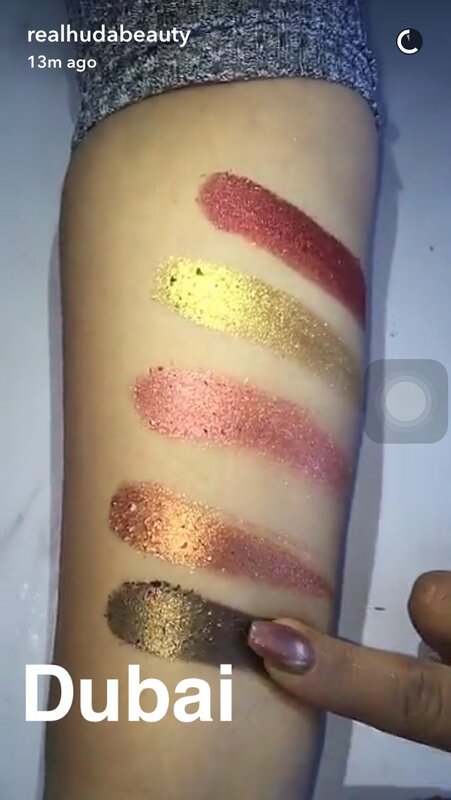 I will wait for mid September then, because this palette is gorgeous! 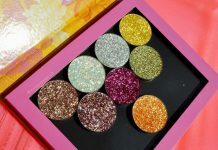 I loved the colors, and they seem to be very pigmented! 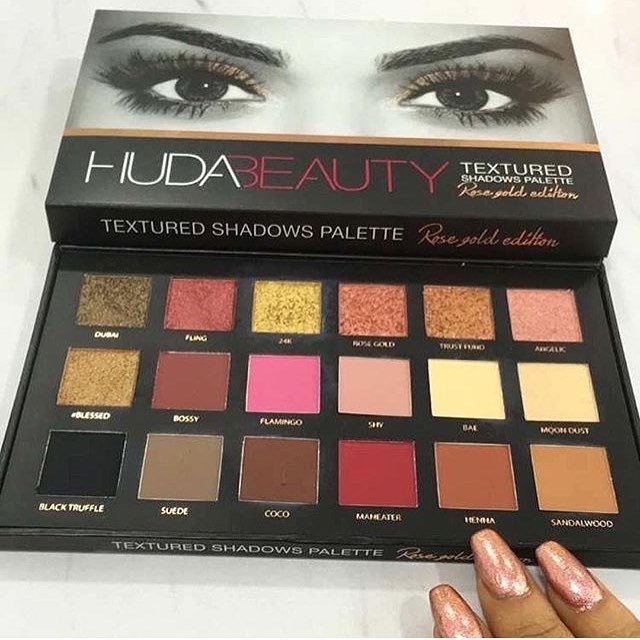 I really want Huda palette, it’s amazing! That palette is so tempting! Thanks for sharing! Awwwwwww richa, thank you so much! I have started saving for this one!!! 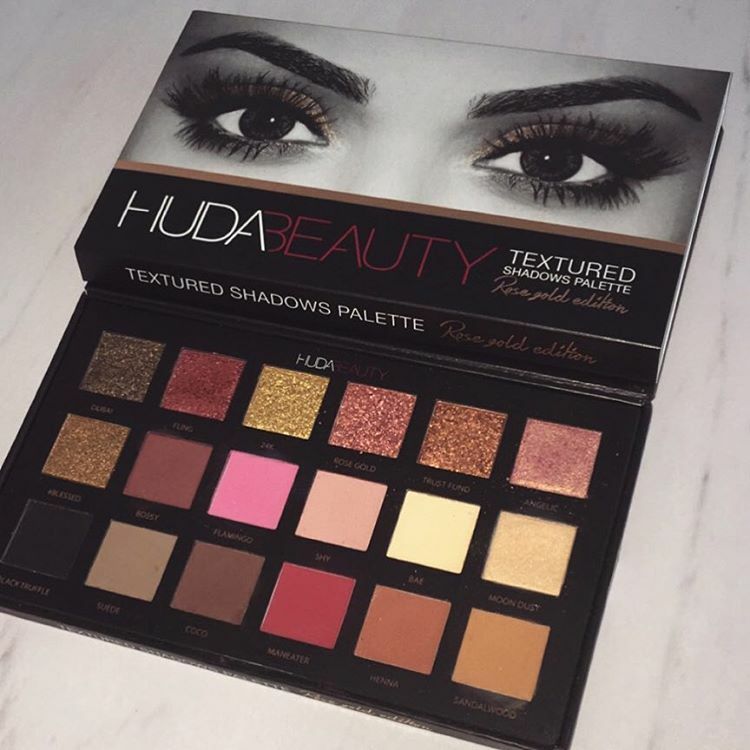 This is an absolute gorgeous palette!